Andrew Wakefield is among the most controversial figures in the autism world. His research on the question of whether the Mumps-Measles-Rubella (MMR) vaccine could be the cause of an autism epidemic has created a huge rift in the autism community. Despite the fact that his influential research paper on the subject has been revoked by the British medical journal The Lancet, Wakefield and his theories remain a potent force in the autism world. Dr. Wakefield is an academic gastroenterologist and surgeon with a special interest in inflammatory diseases. Born in Britain in 1957, he was educated in Canada and became a physician at the Royal Free Hospital in London. Early in his career, Wakefield made an important contribution to the medical world when he discovered that the cause of Crohn's disease, a major gastrointestinal illness, was decreased blood flow to the intestines. Soon after this discovery, Wakefield began digging into the question of whether it was measles virus from the Mumps-Measles-Rubella vaccine which was causing the blockage of blood flow and leading to Crohn's. While the answer to this question was "no," the possibility of measles virus as a culprit for GI issues continued to interest him. In 1995, Wakefield was approached by a group of parents who told him that their children had become autistic following the MMR vaccine. They asked him to look into a possible connection, and he was willing to do so. His theory: if the measles vaccine had caused inflammation in their intestines, children could develop "leaky gut syndrome," making it possible for harmful proteins to make their way to the brain. If this occurred, he theorized, the children's autism could have been caused by the MMR vaccine. In 1998, Wakefield and a group of colleagues published a research study which linked inflammatory bowel symptoms in 12 autistic children to the Mumps-Measles-Rubella vaccine. That study, published in the famous British medical journal The Lancet, launched a massive anti-vaccine movement in the UK, the United States and around the world. Several years ago, reporter Brian Deer of the London Sunday Times began investigating Wakefield and found evidence of conflicts of interest and instances of ethical misconduct. Soon after Deer reported on his findings, ten of Wakefield's 13 co-authors renounced the study's conclusions. In February 2010, the Lancet officially revoked the publication of the article due to ethical concerns. This followed a lengthy process of investigation by the UK's General Medical Council. While Wakefield's original MMR/autism research has been repudiated and never fully replicated, it remains the underpinning of a movement which continues to point to vaccines as the theoretical cause of a huge increase in autism spectrum diagnoses. Millions of dollars have been raised to warn parents of the possibility that autism could be caused by vaccines, and to build up a "green vaccine" movement in the US and UK. Wakefield, who presently practices in both Florida and Texas, stands by his work and insists that his research was properly conducted. It's important to note, however, that for all the anti-vaccine rhetoric in the autism community, Wakefield himself does not make an absolute claim that the MMR vaccine causes autism. In fact, on Wakefield's Texas-based "Thoughtful House" site, an FAQ asks: Have Thoughtful House researchers found any link between the MMR vaccine and autism? The answer: No such link has been established, but research into a possible connection is ongoing. BBC News. 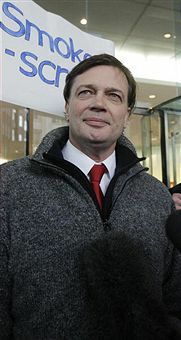 Profile: Dr Andrew Wakefield. Amanda Gardner. Controversial Autism Study Retracted by Medical Journal. HealthDay. Feb 2, 2010. Paul Offit, MD. Autism's False Prophets: Bad Science, Risky Medicine, and the Search for a Cure. Columbia University Press: New York C 2008.